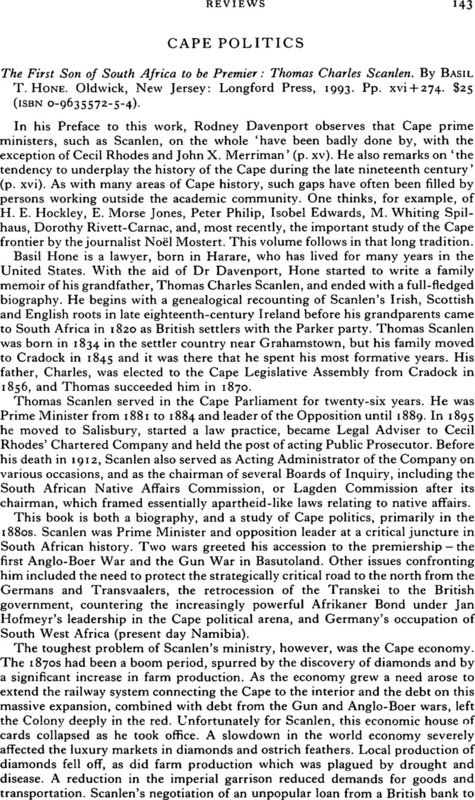 Cape Politics - The First Son of South Africa to be Premier: Thomas Charles Scanlen. By Basil T. Hone. Oldwick, New Jersey: Longford Press, 1993. Pp. xvi + 274. $25 (ISBN 0-9635572-5-4).